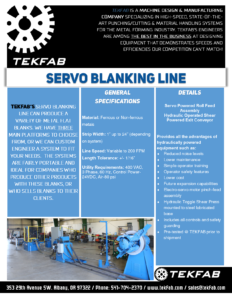 Servo Blanking Cut-To-Length Line | TEKFAB, INC. 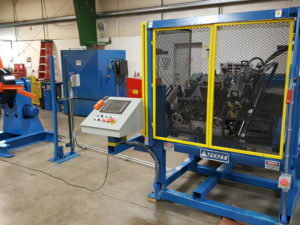 The most common type of bl anking systems are enormous in size and in cost, which can be much more than needed, as you may already know, and not everyone needs that kind of mass in their operation. 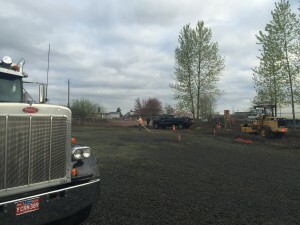 So, you are either left to buy pre-cut sheets and strips and to find a place to store them, or you have to put together a labor-intensive system that may involve shears or hand-fed equipment that can be slow, plagued with issues and not easy to support. 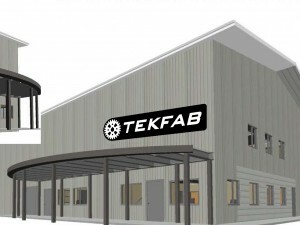 Whatever it may be, TEKFAB looks to meet the needs that are not being met, and we think that we can help you save some space, labor hours and money with a top-of-the-line TEKFAB Blanking System! 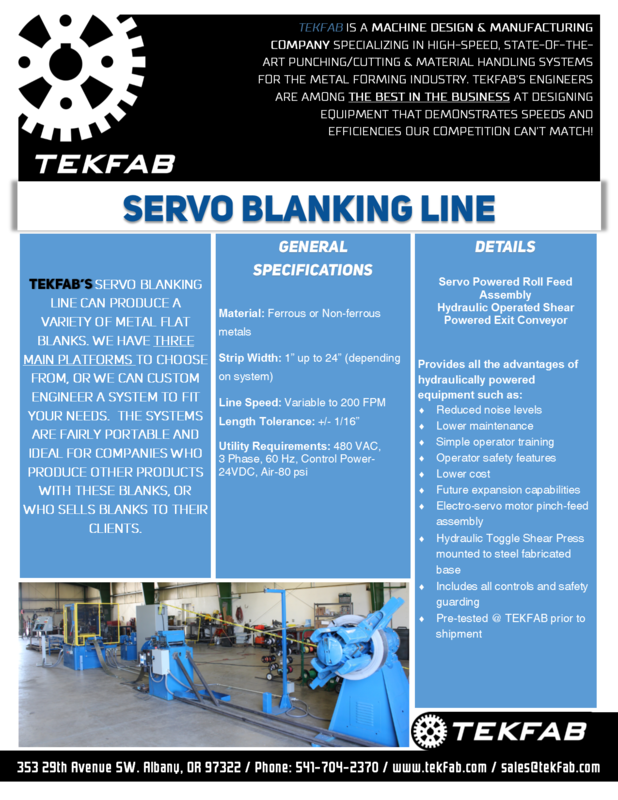 Feel free to give us a call or shoot us an email anytime if you have any questions, desires or enquiries, and while you are here, make sure to explore our website to see what all TEKFAB can do for you! 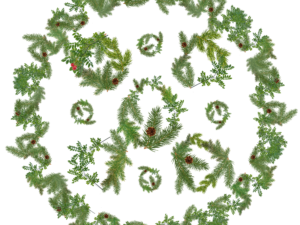 ©2019 TEKFAB, INC. Website built by No Dinx, Inc..